The Department for Transport (DfT) has controversially extended the Virgin Trains West Coast rail contract after an apparent delay to the commencement of the new franchise. The current contract was itself an extension of a franchise that ran out earlier this year, and was due to expire on 1 April. The deal allowed the possibility of an extension to ensure that services would continue until the new, wider West Coast Partnership (WCP) begins. The WCP, under which the successful bidder will also oversee the introduction of HS2 services from 2026, was due to begin in September, according to the Invitation to Tender. Last March, transport secretary Chris Grayling said that the new franchise ‘will deliver immediate benefits to passengers’. The September 2019 start date appears to have been scrapped, although the DfT has not made a public announcement on the change. Questioned by Transport Network, the DfT declined to confirm that it is still aiming for the September start date but said it is committed to commencing the franchise in 2019. 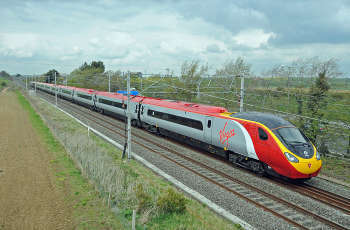 In September, the chair of the Commons Transport Committee strongly criticised ministers over the failure of the Virgin Trains East Coast franchise which, like the current West Coast franchise, is jointly run by Virgin and Stagecoach. The contract had to be taken back into the public sector with little sign of repercussions for the private operators.